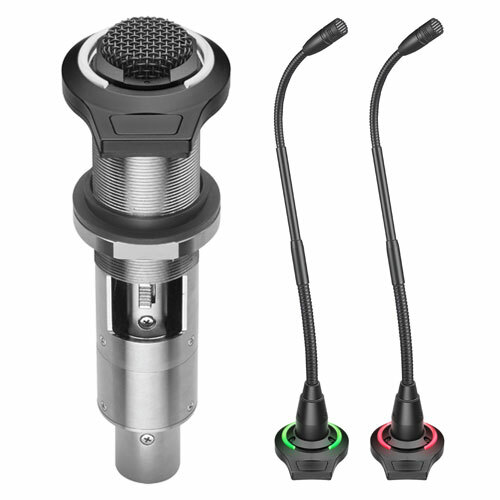 The AT8656/LED flush-mount microphone socket features a capacitive-type touch-sensitive switch, Red/Green LED indicator ring, touch-on/touch-off switch and a lock tab to hold microphone in place. The socket is equipped with a three-pin XLRF-type in, and a three-pin XLRM-type output connector. The AT8656/LED requires 20-52V DC phantom power for operation. The electronics in the socket take up to 30 seconds to stabilize after power is applied; during this start-up period, some sonic disturbances may be heard upon switching if the system is "live." 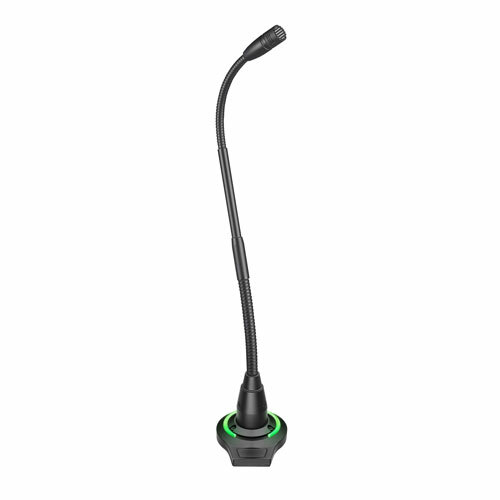 The lock tab, located in the socket case, automatically engages when microphone is inserted, securely holding it in place until tab is manually released by user. The output of the socket is a 3-pin XLRM-type connector. 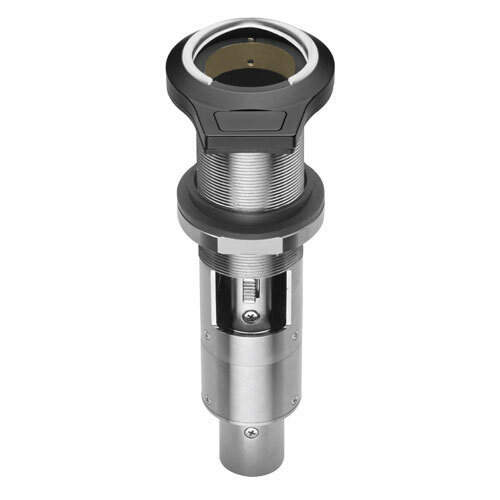 Isolators are included with the unit for mechanical isolation from the mounting surface. A retaining ring is also included for use with gooseneck microphones. The socket is enclosed in a heavy-duty die-cast case. The low-profile housing has a low-reflectance black finish.